The BaByliss 2800DU Pro Ceramic 12 in 1 Styler is the perfect accessory for achieving stunning hair styles from straight to crimped and from curls to waves, this multi styler will allow you to get the perfect style everytime. There are 8 interchangeable attachments that include 38mm ceramic straightening plates, 38mm ceramic crimping plates, 13-16mm ceramic coated dual barrel, 13mm, 16mm and 19mm ceramic coated barrels, 19mm spiral sleeve and a 19mm brush sleeve. 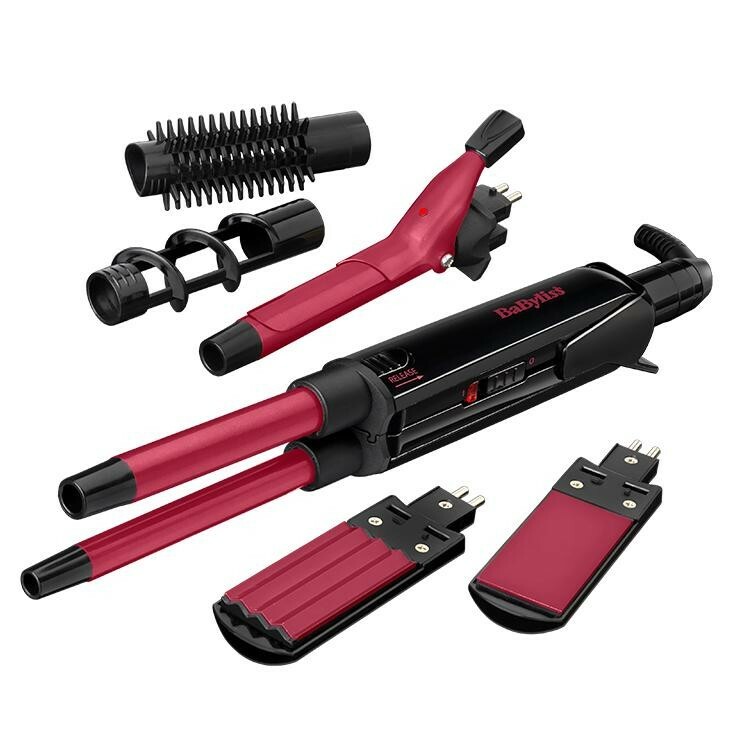 The multi styler can reach a maximum temperature of 200°C and has a fast heat up time so you can get ready instantly.